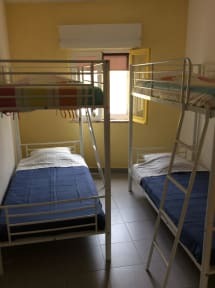 Iguana Hostel, Lagos, Portugalia : Rezerwuj teraz! 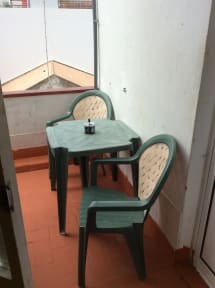 Iguana Hostel is located right in the old city centre of Lagos.A town in southern Portugal's Algarve region.It’s known for its walled old town, cliffs and Atlantic beaches. Our region offers multiple tourism choices ,specially if you enjoy surfing, windsurfing, sailing, kayaking, jogging, fishing, various boat trips and more. Get into the adventure and stay with us at Iguana Hostel. We are located right in the old city centre of Lagos, close from all the bars, restaurants, and museums , we are mins away from the main beaches. Iguana hostel is divided into different apartments with dorm rooms,freshly decorated ,each of them has a kitchen, bathroom and living room, we have a small terrace. Our rooms are ideal for a small group . Check in from 10:00 to 00:00 . Check out from 10:00 to 12:00.